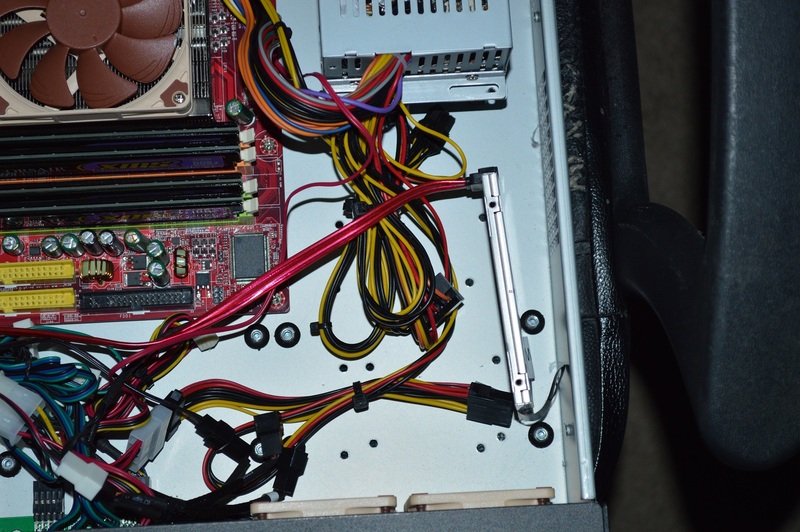 So where I last left things, I said that I had ordered a replacement northbridge cooler for the mainboard. I replaced the 40mm fan that came with that northbridge cooler with a Noctua 40mm fan as well to help things get a little more quiet. Along with that, we had device upgrades at work — basically trading in my older laptop to get a new one. The one I had was a Lenovo W520, which is a great laptop. And one thing I both liked and hated was its 128GB SSD. Liked it because of its speed (initially), but hated its capacity — when you’re an engineer, storage is your friend. But I was given the option of purchasing my old laptop, and I did. First order of business with it after getting everything configured and updated was to swap out the SSD for a 1TB HDD. It boots slower as a result, but I wanted the storage space. I took the SSD and moved it into the server since it’s smaller than the 3½” HDD that was in there previously while having double the storage space. Storage isn’t as huge a deal with this system, but the SSD just freed up a ton of space in front of the two 60mm fans, allowing for much better airflow onto the power supply. And if it weren’t for the PSU fan, the server would probably be dead silent. Perhaps I’ll remedy that later. For now it’ll have to do. It was all the other noise that I alleviated that absolutely had to go, since all of that in concert was too much to bear. 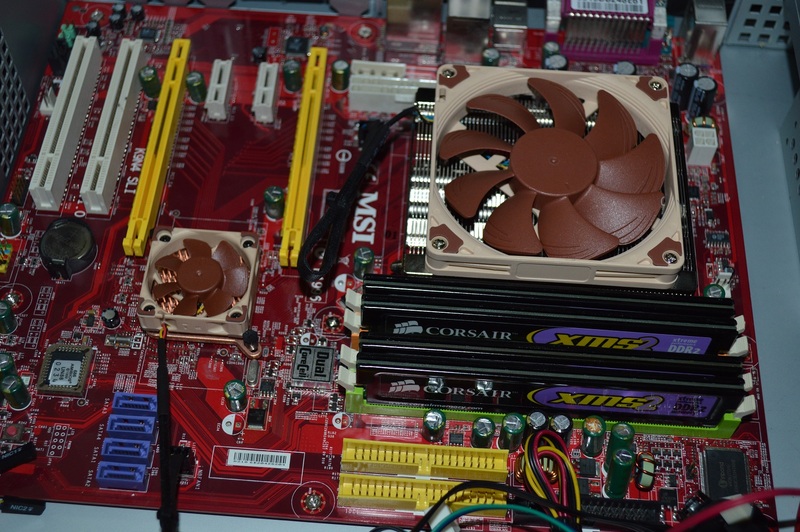 But at least the fans on the mainboard match. Follow-up (May 21, 2015): I replaced the power supply with the Seasonic SS-250SU. The power supply was advertised as having a 25 dB/A fan, meaning it would be quiet — and it’s supposed to also have a zero-RPM mode. After replacing the PSU, the first boot on the server was barely audible with the Noctua and Enermax fans plus the PSU. Pulling up Prime95 to get some kind of heavy load on the CPU still didn’t cause the PSU to get any noisy. As I write this I’m sitting a few feet away from the server with it running and can barely hear it over the fans on β Ori. and Absinthe.